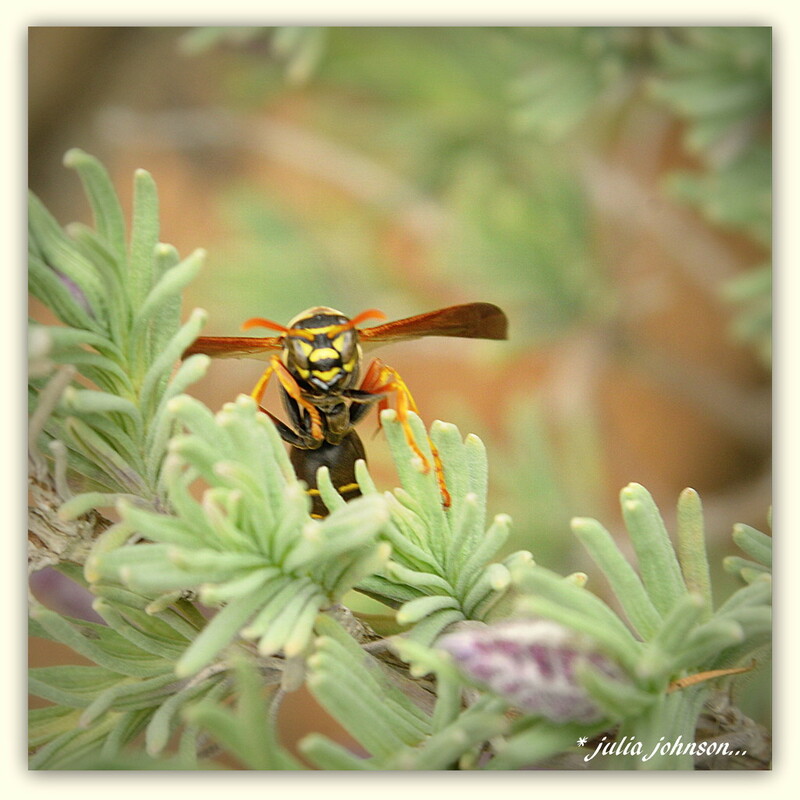 Loving our warmer weather at the moment with not much rain and plenty of sunshine but the downside is these little pest's come out to play.. My lavender is just starting to flower and this wasp contrasted nicely with the foliage and flower buds..
A nice pic of this nasty beast. Beautiful image of this little pest! You caught him in perfect focus, oh my. He does look rather mean. He looks angry, wouldn't want to mess with him. He's coming straight at you, run! a wonderful close up with great details and tones, fav! Wow he's making a 🐝 line for you! Seriously just like a plane flying low straight towards you! @happypat He seemed pretty calm .. I think he was intoxicated by the lavender..
Oh, how I hate those things!!! Another introduced pest! Great shot though.